DATALOGIC ADC, GRYPHON BT4132 RS-232 KIT BLACK (KIT INCLUDES GBT4132-BK, BC4032-BK-BT, 8-0935 & 90G000008. MUST ORDER US POWER CORD SEPERATELY, 6003-0941) Barcoding Store, powered by Strategic Mobiltiy Group, LLC (SMG3) offers globally recognized products and industry-leading solutions to enhance your organnization's productivity. Combining optimal search functionality and industry-leading products from Zebra, Honeywell, AML, etc., Barcoding Store creates a superior shopping experience unlike any other withing our industry. ZEBRA EVM, DS3608, TAA COMPLIANT, STANDARD RANGE 1D/2D IMAGER, SCANNER ONLY (REQUIRES CABLE), VIBRATION MOTOR, INDUSTRIAL GREEN Barcoding Store, powered by Strategic Mobiltiy Group, LLC (SMG3) offers globally recognized products and industry-leading solutions to enhance your organnization's productivity. Combining optimal search functionality and industry-leading products from Zebra, Honeywell, AML, etc., Barcoding Store creates a superior shopping experience unlike any other withing our industry. 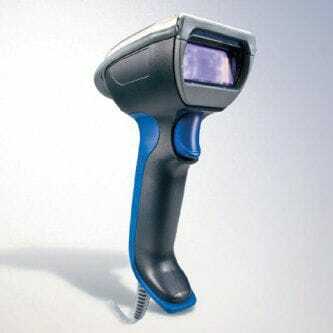 ZEBRA EVM, DS3608, EXTENDED RANGE 1D/2D IMAGER, USB KIT, INCLUDES DS3608-ER20003VZWW SCANNER, CBA-U46-S07ZAR SHIELDED USB HIGH CURRENT CABLE, VIBRATION MOTOR, INDUSTRIAL GREEN Barcoding Store, powered by Strategic Mobiltiy Group, LLC (SMG3) offers globally recognized products and industry-leading solutions to enhance your organnization's productivity. Combining optimal search functionality and industry-leading products from Zebra, Honeywell, AML, etc., Barcoding Store creates a superior shopping experience unlike any other withing our industry. ZEBRA EVM, DS3678,TAA COMPLIANT, STANDARD RANGE 1D/2D IMAGER, CORDLESS, FIPS, SCANNER ONLY (REQUIRES CRADLE, CABLE, POWER), VIBRATION MOTOR, INDUSTRIAL GREEN Barcoding Store, powered by Strategic Mobiltiy Group, LLC (SMG3) offers globally recognized products and industry-leading solutions to enhance your organnization's productivity. Combining optimal search functionality and industry-leading products from Zebra, Honeywell, AML, etc., Barcoding Store creates a superior shopping experience unlike any other withing our industry. 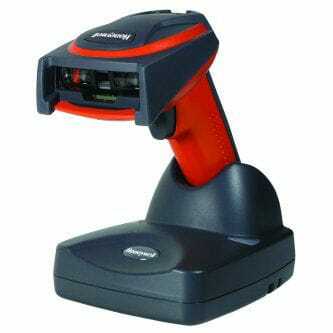 ZEBRA EVM, DS3608, EXTENDED RANGE 1D/2D IMAGER, USB KIT, INCLUDES DS3608-ER20003VZWW SCANNER, CBA-UF2-C12ZAR SERIES A LOCKING CABLE FOR VC70, VIBRATION MOTOR, INDUSTRIAL GREEN Barcoding Store, powered by Strategic Mobiltiy Group, LLC (SMG3) offers globally recognized products and industry-leading solutions to enhance your organnization's productivity. Combining optimal search functionality and industry-leading products from Zebra, Honeywell, AML, etc., Barcoding Store creates a superior shopping experience unlike any other withing our industry. ZEBRA EVM, DS3608, TAA COMPLIANT, EXTENDED RANGE 1D/2D IMAGER, SCANNER ONLY (REQUIRES CABLE), VIBRATION MOTOR, INDUSTRIAL GREEN Barcoding Store, powered by Strategic Mobiltiy Group, LLC (SMG3) offers globally recognized products and industry-leading solutions to enhance your organnization's productivity. Combining optimal search functionality and industry-leading products from Zebra, Honeywell, AML, etc., Barcoding Store creates a superior shopping experience unlike any other withing our industry. ZEBRA EVM, DS3678, TAA COMPLIANT, EXTENDED RANGE 1D/2D IMAGER, CORDLESS, FIPS, SCANNER ONLY (REQUIRES CRADLE, CABLE, POWER), VIBRATION MOTOR, INDUSTRIAL GREEN Barcoding Store, powered by Strategic Mobiltiy Group, LLC (SMG3) offers globally recognized products and industry-leading solutions to enhance your organnization's productivity. Combining optimal search functionality and industry-leading products from Zebra, Honeywell, AML, etc., Barcoding Store creates a superior shopping experience unlike any other withing our industry. 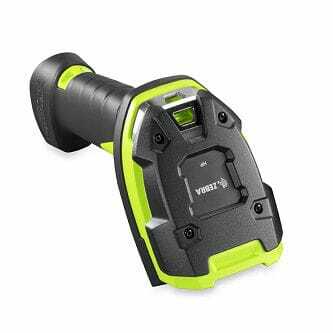 ZEBRA EVM, DS3678, EXTENDED RANGE 1D/2D IMAGER, CORDLESS, FIPS, USB KIT INCLUDES SCANNER, 7 FOOT USB CABLE, CRADLE, AND POWER, REQUIRES LINE CORD (23844-00-00R), VIBRATION MOTOR, INDUSTRIAL GREEN Barcoding Store, powered by Strategic Mobiltiy Group, LLC (SMG3) offers globally recognized products and industry-leading solutions to enhance your organnization's productivity. Combining optimal search functionality and industry-leading products from Zebra, Honeywell, AML, etc., Barcoding Store creates a superior shopping experience unlike any other withing our industry. 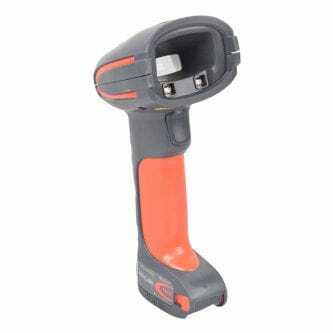 ZEBRA EVM, DS3678, EXTENDED RANGE 1D/2D IMAGER, CORDLESS, FIPS, USB KIT, INCLUDES 7 FOOT USB CABLE, CRADLE, POWER, AND LINE CORD, VIBRATION MOTOR, INDUSTRIAL GREEN Barcoding Store, powered by Strategic Mobiltiy Group, LLC (SMG3) offers globally recognized products and industry-leading solutions to enhance your organnization's productivity. Combining optimal search functionality and industry-leading products from Zebra, Honeywell, AML, etc., Barcoding Store creates a superior shopping experience unlike any other withing our industry. ZEBRA EVM, DS3608, DPM 1D/2D IMAGER, SCANNER ONLY (REQUIRES CABLE), VIBRATION MOTOR, INDUSTRIAL GREEN Barcoding Store, powered by Strategic Mobiltiy Group, LLC (SMG3) offers globally recognized products and industry-leading solutions to enhance your organnization's productivity. Combining optimal search functionality and industry-leading products from Zebra, Honeywell, AML, etc., Barcoding Store creates a superior shopping experience unlike any other withing our industry. ZEBRA EVM, DS3608, DPM 1D/2D IMAGER, USB KIT, INCLUDES DS3608-DP20003VZWW SCANNER, CBA-U46-S07ZAR SHIELDED USB HIGH CURRENT CABLE, VIBRATION MOTOR, INDUSTRIAL GREEN Barcoding Store, powered by Strategic Mobiltiy Group, LLC (SMG3) offers globally recognized products and industry-leading solutions to enhance your organnization's productivity. Combining optimal search functionality and industry-leading products from Zebra, Honeywell, AML, etc., Barcoding Store creates a superior shopping experience unlike any other withing our industry. ZEBRA EVM, DS3608, TAA COMPLIANT, DPM 1D/2D IMAGER, SCANNER ONLY (REQUIRES CABLE), VIBRATION MOTOR, INDUSTRIAL GREEN Barcoding Store, powered by Strategic Mobiltiy Group, LLC (SMG3) offers globally recognized products and industry-leading solutions to enhance your organnization's productivity. Combining optimal search functionality and industry-leading products from Zebra, Honeywell, AML, etc., Barcoding Store creates a superior shopping experience unlike any other withing our industry. ZEBRA EVM, DS3678, DPM 1D/2D IMAGER, CORDLESS, FIPS, SCANNER ONLY (REQUIRES CRADLE, CABLE, POWER), VIBRATION MOTOR, INDUSTRIAL GREEN Barcoding Store, powered by Strategic Mobiltiy Group, LLC (SMG3) offers globally recognized products and industry-leading solutions to enhance your organnization's productivity. Combining optimal search functionality and industry-leading products from Zebra, Honeywell, AML, etc., Barcoding Store creates a superior shopping experience unlike any other withing our industry. ZEBRA EVM, DS3678, TAA COMPLIANT, DPM 1D/2D IMAGER, CORDLESS, FIPS, SCANNER ONLY (REQUIRES CRADLE, CABLE, POWER), VIBRATION MOTOR, INDUSTRIAL GREEN Barcoding Store, powered by Strategic Mobiltiy Group, LLC (SMG3) offers globally recognized products and industry-leading solutions to enhance your organnization's productivity. Combining optimal search functionality and industry-leading products from Zebra, Honeywell, AML, etc., Barcoding Store creates a superior shopping experience unlike any other withing our industry. 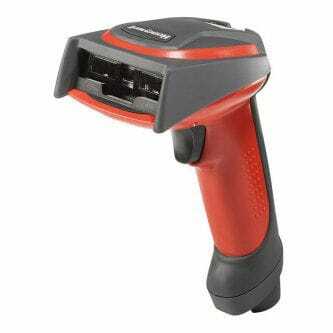 ZEBRA EVM, DS3678, DPM 1D/2D IMAGER, CORDLESS, FIPS, USB KIT INCLUDES SCANNER, 7 FOOT USB CABLE, CRADLE, AND POWER, REQUIRESLINE CORD (23844-00-00R), VIBRATION MOTOR, INDUSTRIAL GREEN Barcoding Store, powered by Strategic Mobiltiy Group, LLC (SMG3) offers globally recognized products and industry-leading solutions to enhance your organnization's productivity. Combining optimal search functionality and industry-leading products from Zebra, Honeywell, AML, etc., Barcoding Store creates a superior shopping experience unlike any other withing our industry. ZEBRA EVM, DS3678, DPM 1D/2D IMAGER, CORDLESS, FIPS, USB KIT INCLUDES SCANNER, 7 FOOT USB CABLE, CRADLE, POWER, AND LINE CORD (23844-00-00R), VIBRATION MOTOR, INDUSTRIAL GREEN Barcoding Store, powered by Strategic Mobiltiy Group, LLC (SMG3) offers globally recognized products and industry-leading solutions to enhance your organnization's productivity. Combining optimal search functionality and industry-leading products from Zebra, Honeywell, AML, etc., Barcoding Store creates a superior shopping experience unlike any other withing our industry.